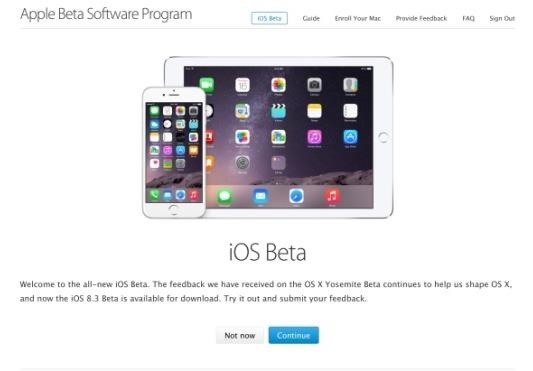 Just a few days after unveiling the Apple Watch and pushing iOS 8.2 to their current products, Apple has, for the first time ever, made a beta version of their mobile OS available for the public to test out. 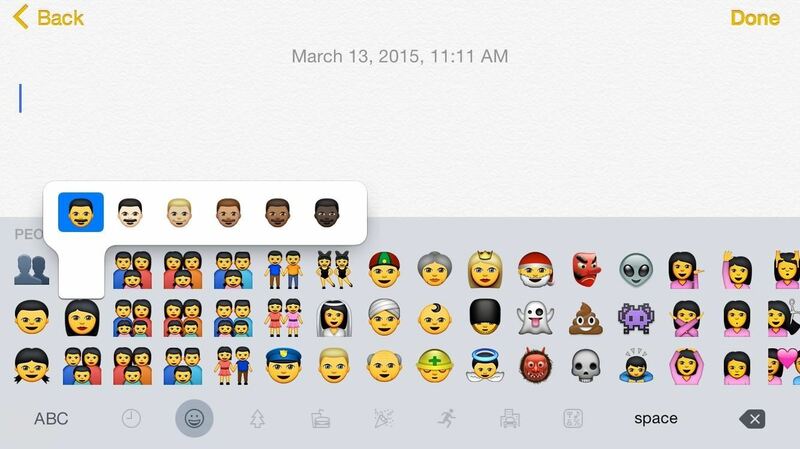 iOS 8.3, the update with the diverse emojis you've all been waiting for, can be downloaded by anyone, as long as you sign up for the Beta Software Program. Check out the guide below to learn how to get iOS 8.3 on your iPad, iPhone, and iPod touch. 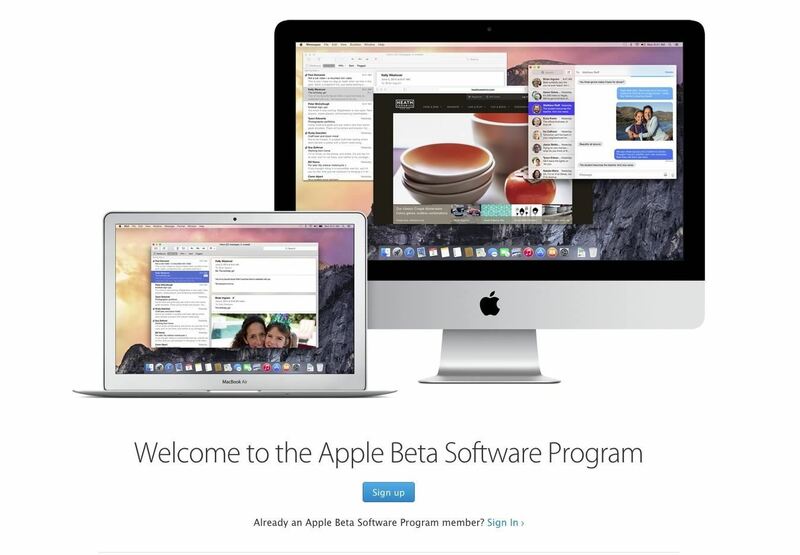 Whether you were a beta tester for the Mac OS X Yosemite public beta or not, visit the Apple Beta Software Program in your browser, choose either "Sign up" or "Sign in," then enter the email and password associated with your Apple ID. Once you're signed up, you should see an "iOS Beta" link at the top of the page. The feature is rolling out slowly, so don't freak out if you don't see it yet—you'll just have to wait a little longer. Apple will then ask you to head over to you iOS device, go to your Profile page, log in with your Apple ID, and download the configuration profile. 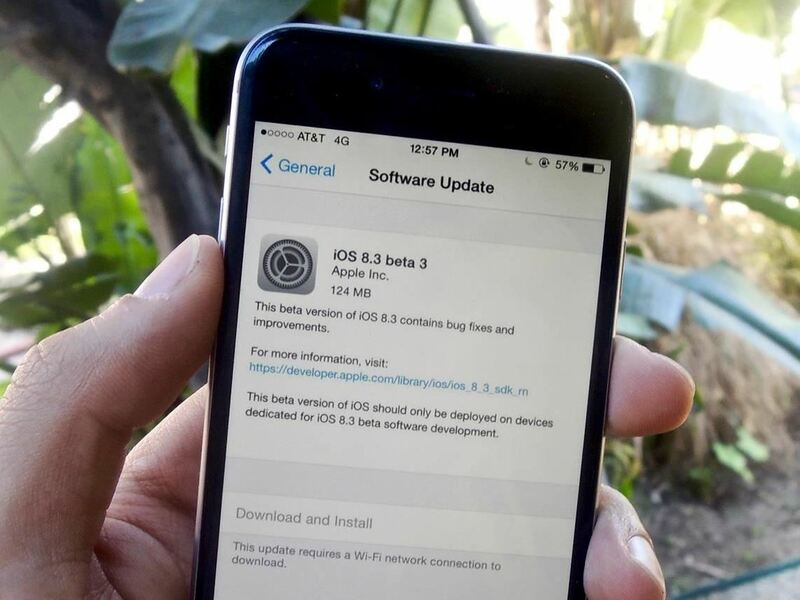 This will make iOS 8.3 appear as an update in your device's Settings. This latest iteration doesn't have a ton of changes, but it does come with the ability to filter texts in the Messages app, support for wireless CarPlay, and improved voice for Siri, and of course, diverse emojis. As I mentioned above, the rollout for iOS 8.3 beta is rolling out slowly, so if you haven't received it yet, you're going to have to be patient. If you're one of the lucky ones that have iOS 8.3 running on your device, leave us a comment below on how you like it. Has your battery life improved? Enjoy the new emojis? Also, hit us up on our Facebook, Google+, or Twitter with your thoughts.